SugarCRM - The Trainer's Advisory Network Ltd. When teams use Sugar™, they can make smarter, faster, better decisions. 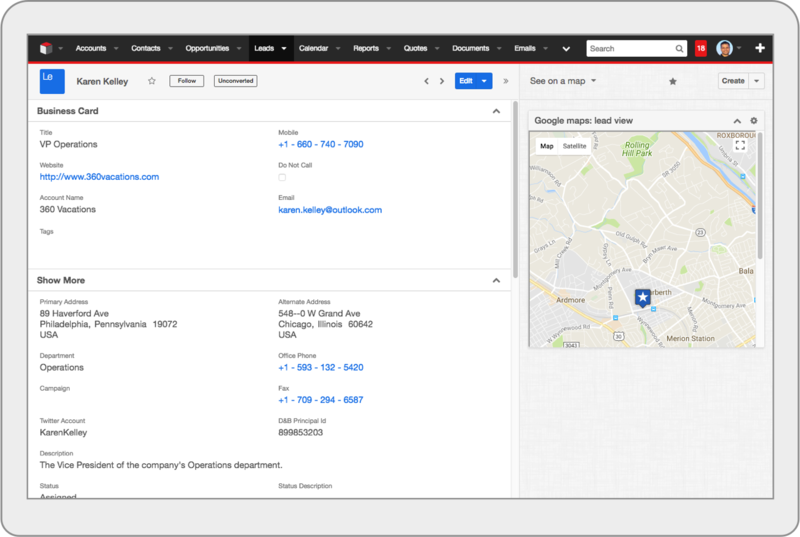 Benefit from a complete customer view and anticipate opportunity. Whether in sales, marketing or customer service, Sugar will make a huge difference to your productivity and the bottom line. No business is the same, yet each can benefit from using Sugar. Customize and configure Sugar to meet your specific business needs. Maximize productivity with access to Sugar optimized for all of the handheld devices you use every day. Maintain productivity while on the road, with or without connectivity. 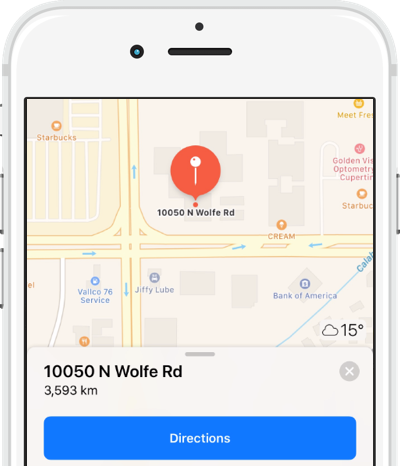 With Sugar you get a simple user interface, industry-leading customer experience, and an intuitive customization platform. Turn it on and go. Easily integrate with your existing IT fabric. Quickly customize to automate your unique business processes. 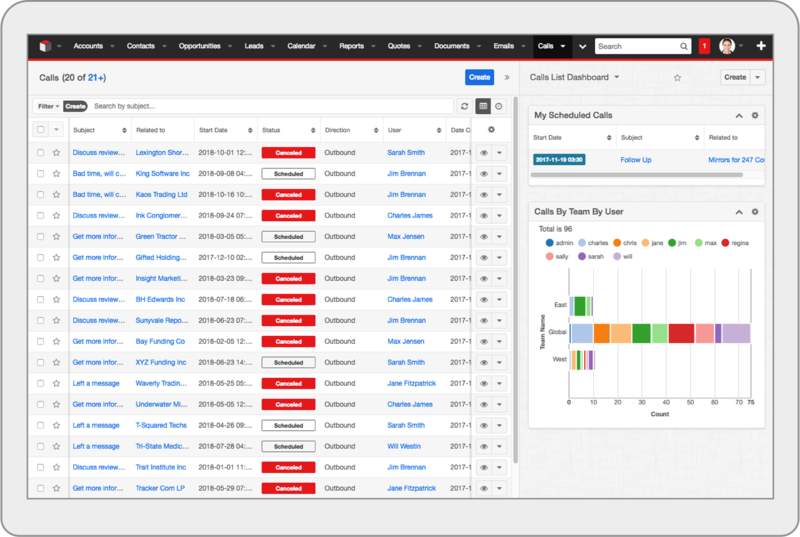 Quickly identify and track your hottest leads from multiple campaigns. Turn over the leads to sales seamlessly for faster, lead to opportunity conversion. Enhance your marketing and sales initiatives with Sugar. 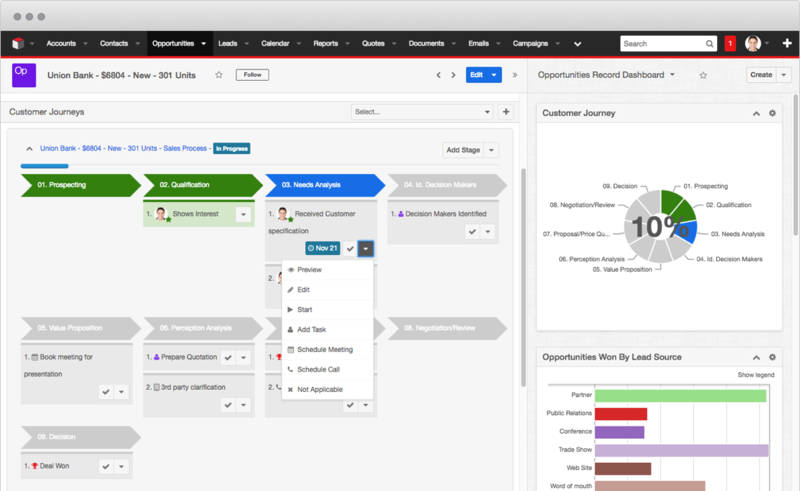 Create, execute and track campaigns across multiple channels. Develop compelling email marketing programs and easily capture leads from your website. 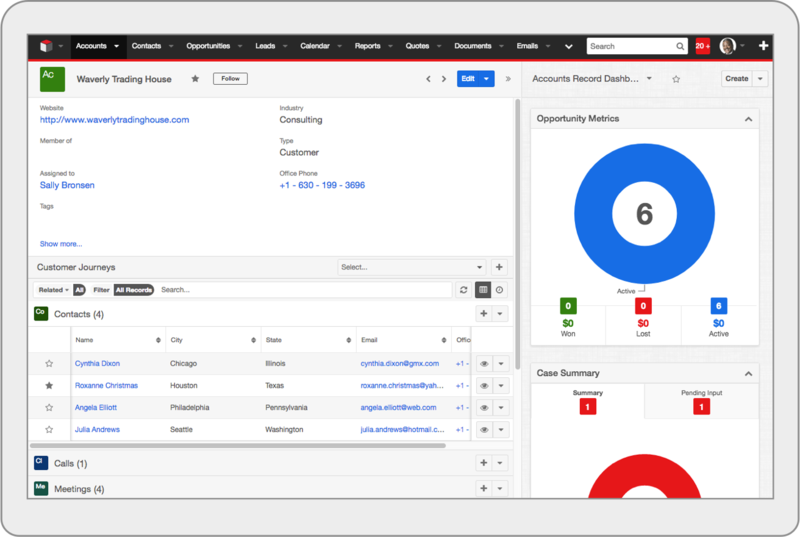 Monitor your marketing, sales and customer support metrics with Sugar Dashboards. Use Sugar Reports to turn your data into insights. 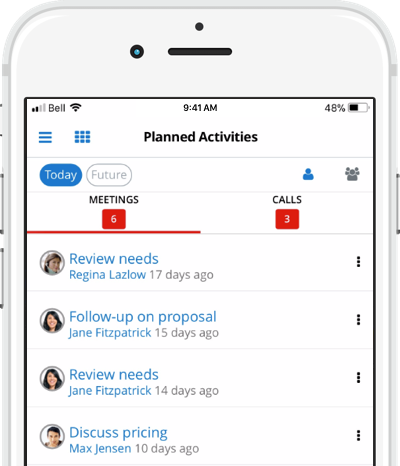 Sugar offers the broadest range of deployment options for on-premise and cloud, and is the industry’s most highly customizable CRM platform based on open technologies. 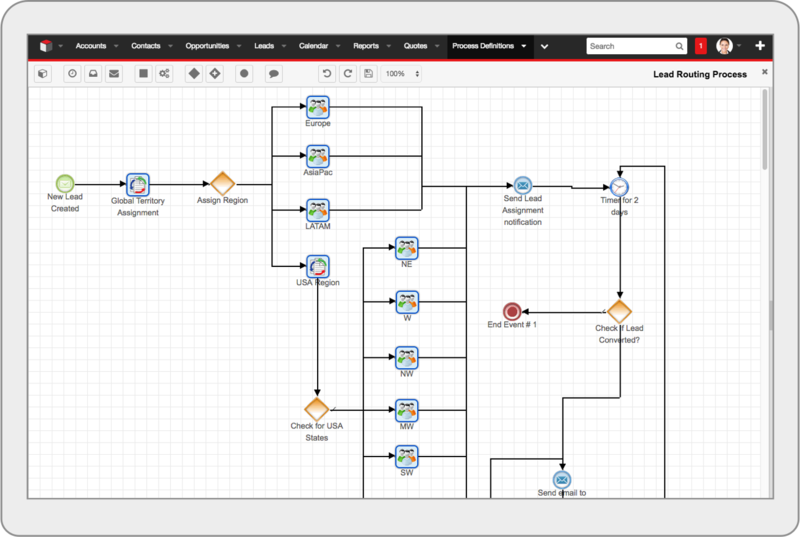 Powerful workflow tools in Sugar allow you to automate and optimize even the most complex business practices – to heighten customer experiences, drive productivity and reduce operating costs. Your CRM system should run like your business, not the other way around. Only Sugar offers fast, simple customization without limits. With Sugar, your CRM is as unique as you. Whether going global and taking advantage of the more than 26 supported languages and currencies; or integrating with the hundreds of third party tools and apps in the Sugar ecosystem – the Sugar platform makes it easier than ever. 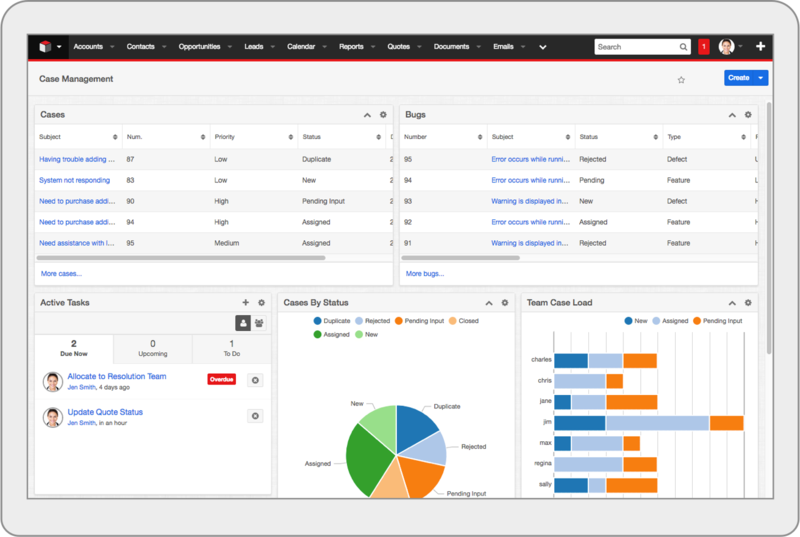 Sugar is the most flexible and customizable CRM platform and delivers unmatched flexibility across every aspect of your CRM deployment. Future-proof your implementation with a CRM platform that will allow you to evolve in an ever-changing business landscape. Customer experience has never been more important to business success. 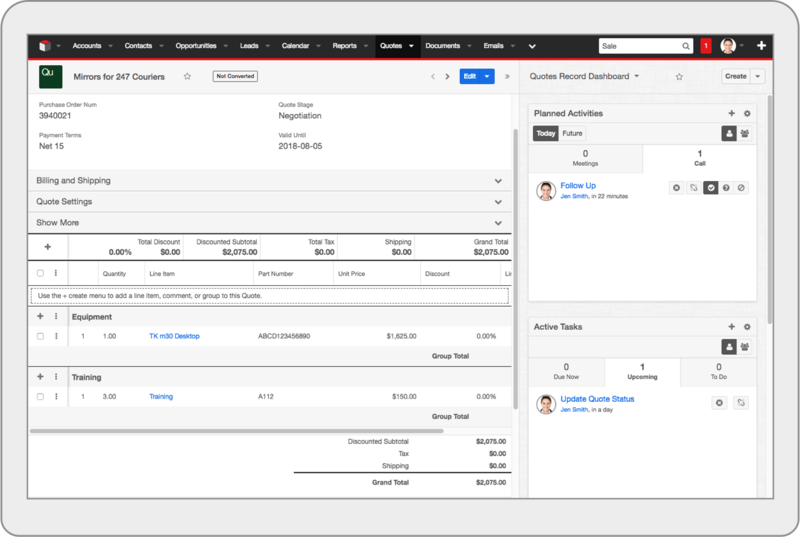 And now there’s an exciting new way to make CRM the engine that drives a better, more seamless customer experience. 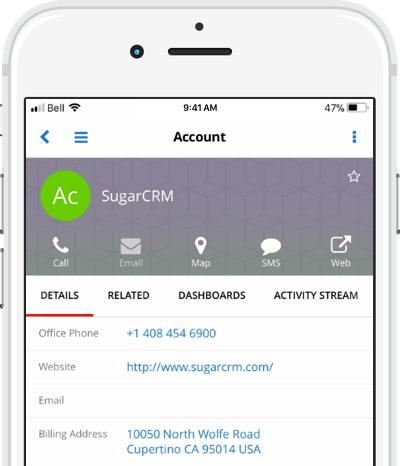 SugarCRM Mobile for Apple iOS and Android enables access to Sugar from users’ to access data, manage daily activities, initiate phone calls, send SMS and emails, map record addresses and more while away from their computers. The app is compatible with iOS and Android tablets, and it will automatically adapt to tablet-sized screens.